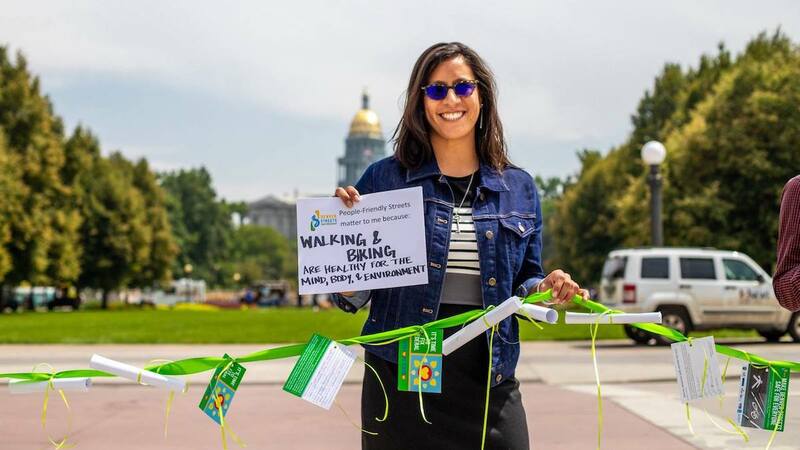 Wrapping Denver's City and County Hall with a 400-foot long ribbon strung with petitions, CoPIRG called for a new investment in people-friendly streets. The petitions call for a $22 million increase in the city budget for sidewalks, bikeways and other safety improvements. On average, one person dies each week in traffic accidents in Denver, with 37 deaths already since January 2018. Without additional funding, advocates say the situation will not improve any time soon. CoPIRG is a member of The Denver Streets Partnership, a coalition of organizations advocating for people-friendly streets in Denver.